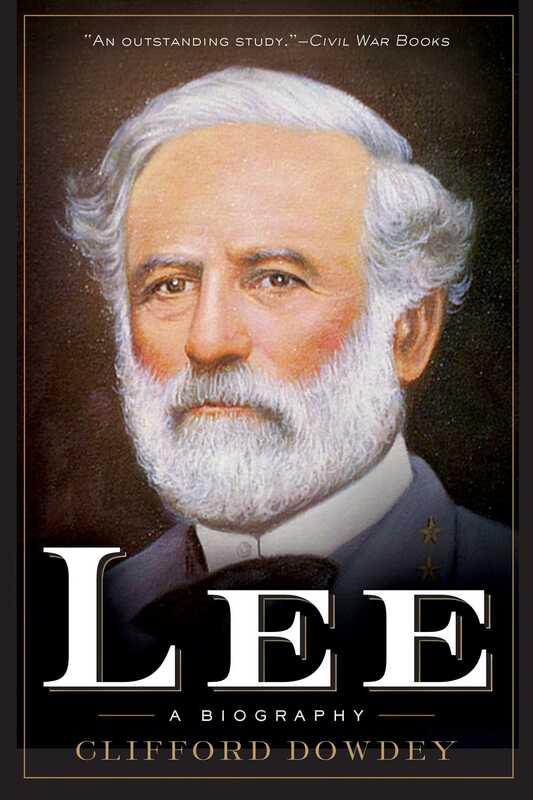 General Robert E. Lee is well known as a major figure in the Civil War. However, by removing Lee from the delimiting frame of the Civil War and placing him in the context of the Republic's total history, Dowdey shows the "eternal relevance" of this tragic figure to the American heritage. With access to hundreds of personal letters, Dowdey brings fresh insights into Lee's background and personal relationships and examines the factors which made Lee that rare specimen, a complete person.” In tracing Lee's reluctant involvement in the sectional conflict, Dowdey shows that he was essentially a peacemaker, very advanced in his disbelief in war as a resolution. Lee had never led troops in combat until suddenly given command of a demoralized, hodgepodge force under siege from McClellan in front of Richmond. In a detailed study of Lee's growth in the mastery of the techniques of war, he shows his early mistakes, the nature of his seemingly intuitive powers, the limitations imposed by his personal character and physical decline, and the effect of this character on the men with whom he created a legendary army. It was after the fighting was over that Dowdey believes Lee made his most significant and neglected achievement. As a symbol of the defeated people, he rose above all hostilities and, in the wreckage of his own fortunes, advocated rebuilding a New South, for which he set the example with his progressive program in education. The essence of Lee's tragedy was the futility of his efforts toward the harmonious restoration of the Republic with the dissensions of the past forgotten.